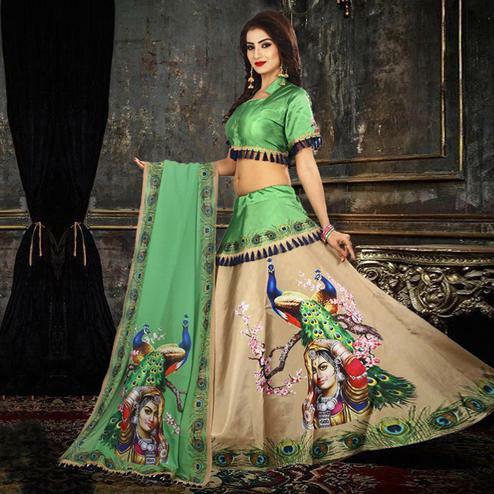 Add richer looks to a personality with this capricious green colored partywear lehenga suit. 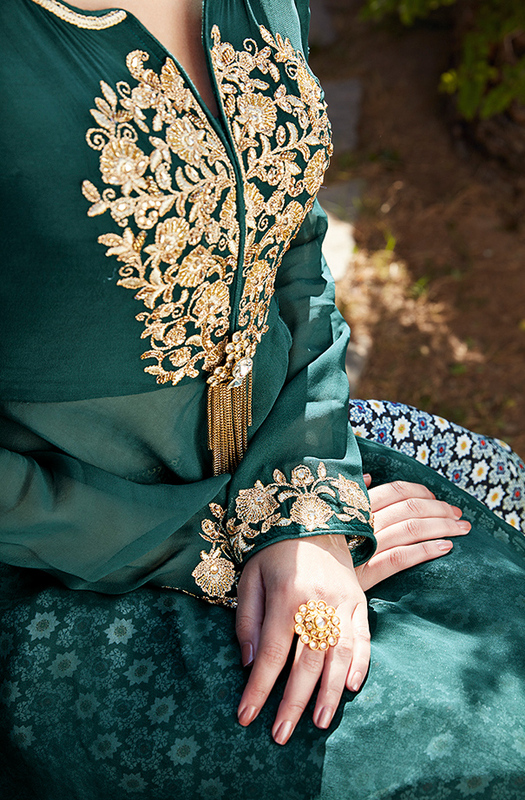 This top has got georgette fabric which has been made unique with its beautiful embroidery work as shown. The outfit also comprises multicolored lehenga detailed with multicolored prints and green color chiffon dupatta outlined with lace border. 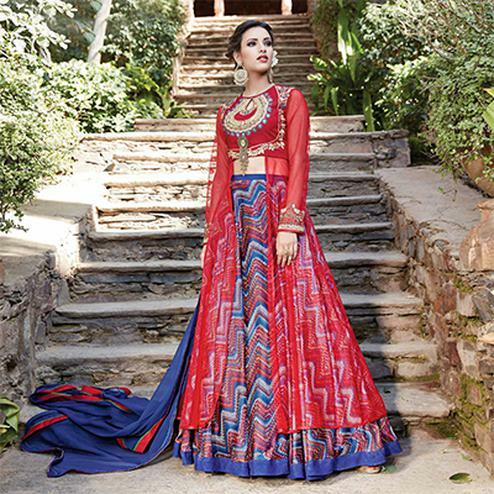 It's a perfect dress to wear for parties, festival and functions, Team it with ethnic accessories and heels to make your looks more beautiful.